Recording 700 million monthly active users, can you imagine the chances of reaching and targeting the right audience on Instagram? 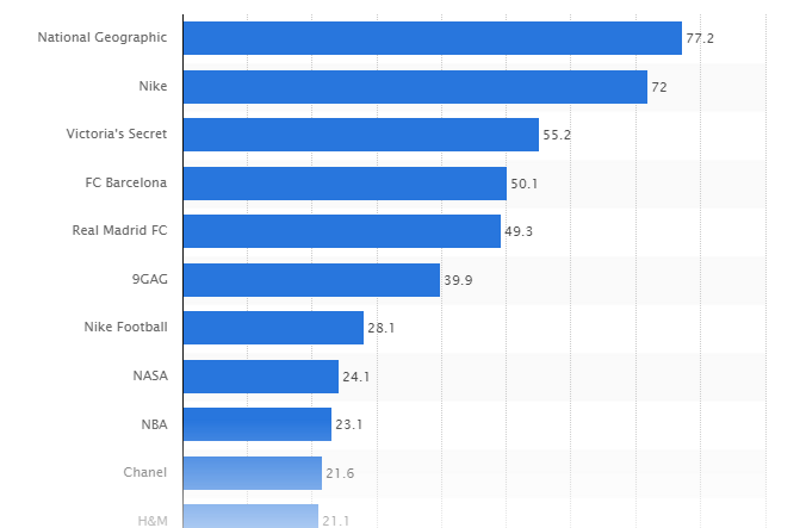 Nike, Victoria’s Secret, Chanel, H&M are among the top leading eCommerce brands rated by the number of Instagram followers as of May 2017. With one million active monthly advertisers, have you adopted Instagram for your product/brand promotion? Using hashtags (#) and posting quality content about your products/services is a must, but are you getting satisfactory results from each of your Instagram marketing campaigns? Crowdfire will give you a chance to filter your followers and ensure your product information is always sent to those who are interested in staying updated with your product and services. It’s good to increase the number of followers for your Instagram business account; however, not making your posts available to the correct followers will simply waste your time and efforts. Crowdfire will provide you statistics about people who are interested in your products and services and ensures you make the best optimization out of each Instagram promotional post and video you create. 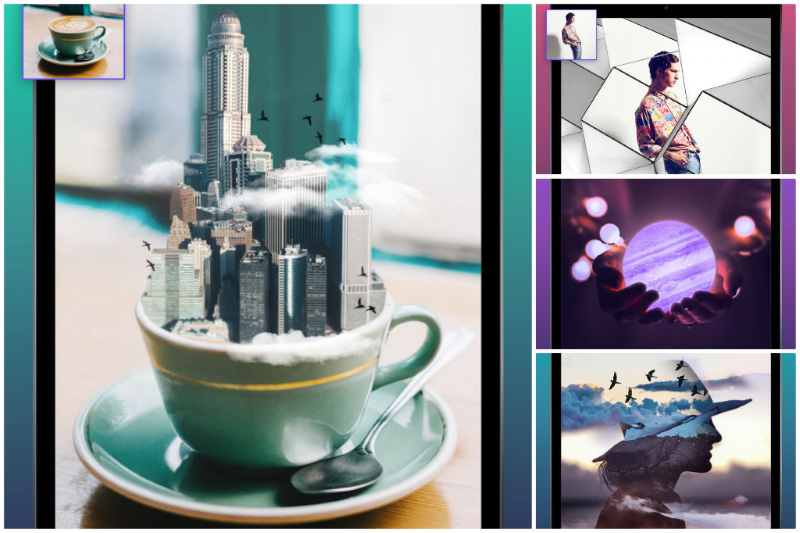 Enlight Photofox will give you access to a range of filters and a full suite of editing tools to make your products look more useful to potential audiences. Selling products online doesn’t allow people to feel or touch your products, therefore the images you offer in your Instagram posts will determine the engagement for your products. Enlight Photofox can eliminate some of the dependency on costly designers and allow you create artistic photos for your products and encourage people to engage further with your brand. Like2Buy helps eCommerce owners make their Instagram feeds shoppable by creating a separate web page featuring a list of their products and services. With hundreds and thousands of products and services same as yours, it can be very difficult to make your products visible in front of potential target audiences. Like2Buy is a popular Instagram tool for eCommerce brands that will automatically improve your chances of reaching audiences who have already shown interest in purchasing products and services like yours and won’t mind engaging further with their favorite products online. 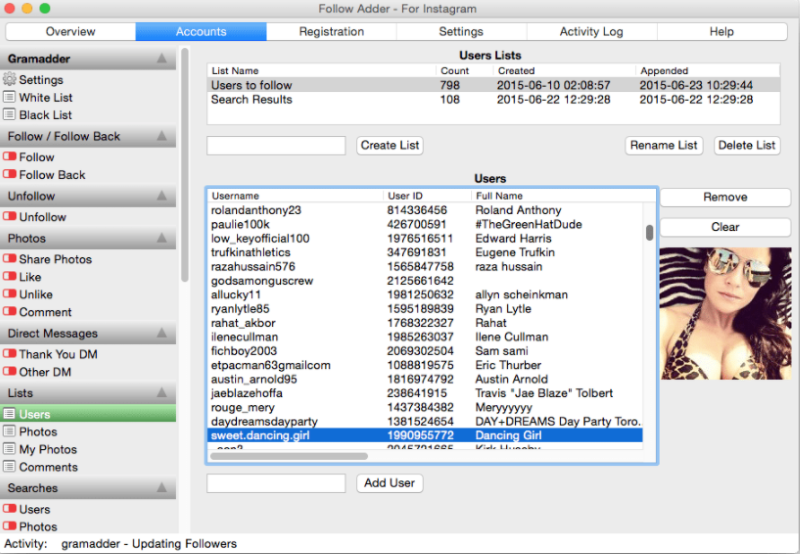 Follow Adder is an automated targeting tool that allows marketers to identify potential followers and automate promotional activities to keep them updated with the latest products and offers that they wouldn’t want to miss. Email marketing is surely helping eCommerce owners to run cost-effective promotional programs; however, targeting online shoppers with the same content for all will make it difficult and take longer to generate expected sales results. Follow Adder will eliminate the need of manual efforts and automatically display your loyalty programs to the correct audience with time. Creating a “hashtag feed” and a “tagboard name” where you would like to collect content into the latest tab of your tagboard. 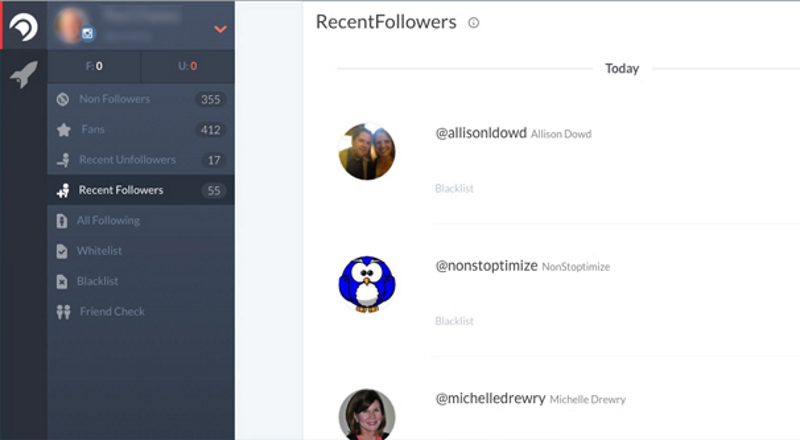 You can also provide a description of what social media topics you would like to add to your dashboard. Instagram #hashtags can help eCommerce business owners make their products and services visible in front of a new audience which uses the same hashtags – but do they always lead to a potential audience? Tagboard will provide you with a single dashboard to analyze your competitors as well as their followers’ ever-changing hashtag strategy and implement them in your promotional tactics across multiple social networking accounts to improve engagement for future products posts you share online. 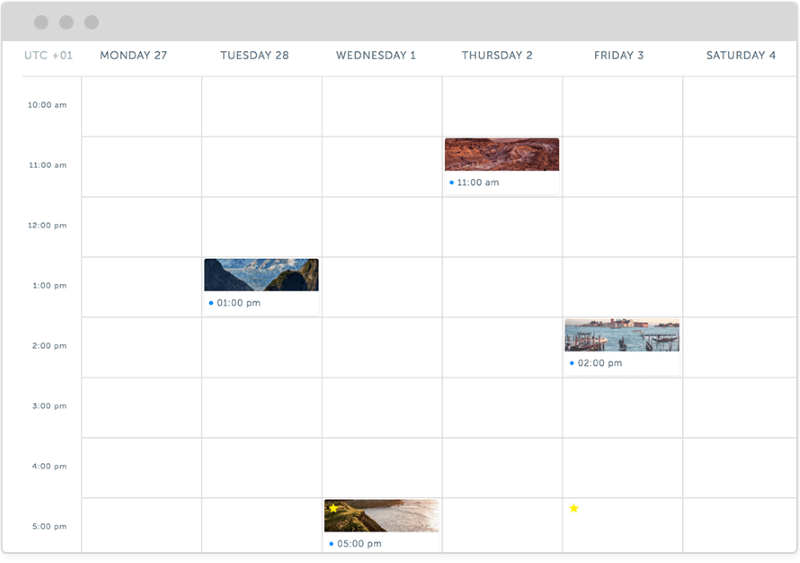 Schedugr.am is considered the most powerful tool for small businesses and Instagram marketer to pre-schedule posts in bulk and automate publishing during the best hours to connect and receive highest responses for all your Instagram posts. Offering content and information about your brand and products is a must to stay visible. However, if you’re unable to focus on a consistent strategy may not attract new audiences, or even discourage your existing followers from sticking with your brand. 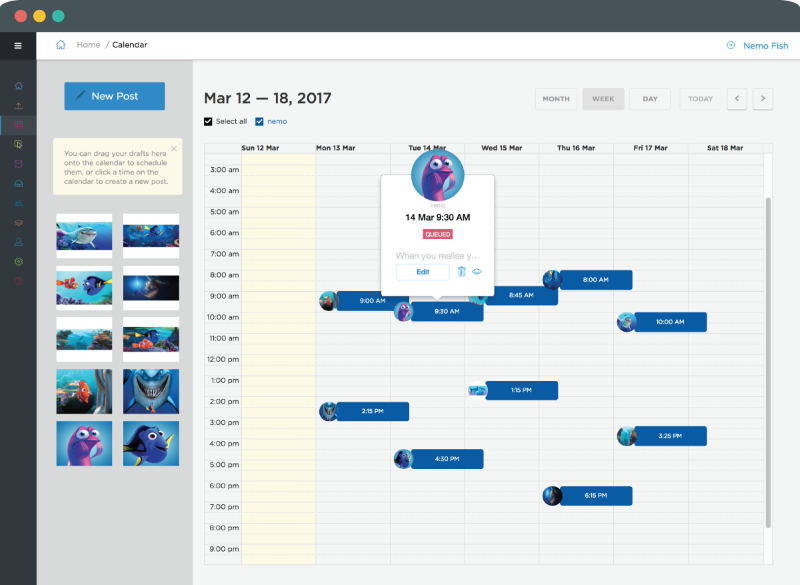 Schedugram will automate your posts scheduling as per your eCommerce business requirements, which means you can pre-schedule multiple posts and organize your Instagram post publishing with an improved consistency. Instagram uses Facebook Power Editor to target sponsored ads based on factors that include age, gender, location, habits, and interests. Sponsored ads are helping eCommerce marketers with an ability to ensure their ads are targeted to the correct audience and pay a specific fee for each click they get on their ads. 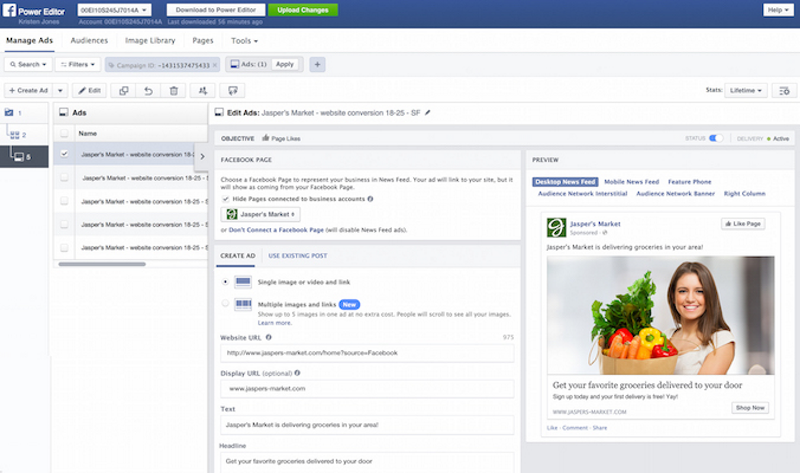 Facebook Power Editor will automate and easily manage your multiple Instagram ad targeting posts in few clicks. You can run sponsored ads with a competitive budget every day. 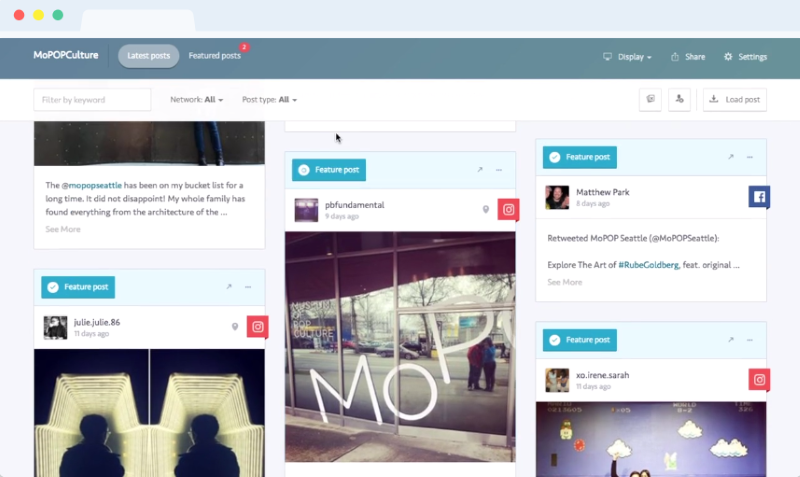 Iconosquare, formerly known as Statigram, is a popular statistics tracking tool for Instagram accounts. This means it provides detailed reports based on important factors that include location, likes, hashtags, and engagement details of your Instagram followers. With the increase in number of followers and likes for your eCommerce Instagram account, you may think your posts are performing well, but how do you optimize your posts for improved results? Iconosquare will provide you with the opportunity to get comprehensive analytics to track and measure your Instagram posts, videos and also track your competitors’ posting habits, history, and hashtags that generate more followers. These are some of the popular tools that will help you organize your eCommerce presence on Instagram and open the door for multiple opportunities in future. What is your favorite Instagram tool and why? Share your views in the comment section below to help marketers integrate them in their Instagram promotional strategies and settle with those that continuously boost sales for their eCommerce business. I would add one more tool for Instagram that can help your business – Snoopreport https://snoopreport.com as it tracks Instagram user actions as likes, comments and follows. It will help to research user insights and update a marketing strategy.